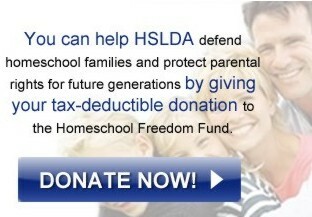 This coming Monday, March 26, the U.S. Supreme Court will notify HSLDA whether it has decided to hear the Loudermilk case concerning a homeschooling family’s right to home privacy. We need you to ask God to move on the hearts of four Supreme Court justices to vote to hear the Loudermilk case when they consider it this Friday, March 23. To prevent their children from being removed into Arizona state custody, the Loudermilks let two social service investigators and six sheriff’s deputies into their house without a search warrant. Because the search was coerced and violated the Loudermilks’ Fourth Amendment rights, HSLDA sued and won on behalf of the Loudermilks in federal court. We believe that homeschooling families across the nation need the Supreme Court to hear this case in order to help prevent any other families from facing a similar threat. We know many of you have lifted up this case and the Loudermilk family, and we are grateful for your prayers. We strongly encourage you to share with your friends and family about the Loudermilk case and invite them to join us in prayer for a favorable outcome.